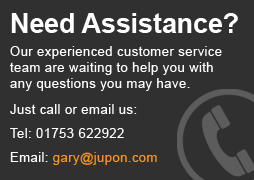 Jupon provides various Bridal Stoles for comfort and elegance. With integrated floral patterns or even sequins these items are a real luxury. Click on any product below for further information. A Jupon wedding Bolero with a lace finish. Please note the Flower pictured is sold separately. One size fits all. Available in Ivory and Rose. .. 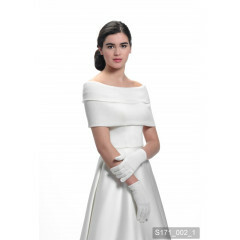 This bridal stole from Jupon comes with matching gloves. It's comfortable, soft, and very attractive. Available in Ivory. ..
A long length poncho style stole from Jupon. 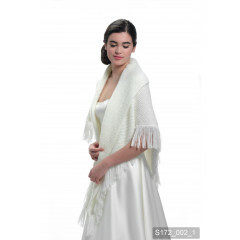 This poncho is designed to be draped over the brides shoulders. It's made from soft wool and has a double layer around the shoulder area. Available in Ivory. ..
Stole of fine Crêpe Georgette. Available in Ivory and Black. Available Sizes: 210 x 70 cm. .. Round stole of fine Crêpe Georgette. Available in Ivory and Black. Available Sizes: 210 x 70 cm. ..
Jupon brings you this simple, yet very charming, Tube Stole that wraps around the brides upper arms and back. Available in White, Ivory, Black, and Light Ivory. ..
Marabou feather stole from Jupon, with closure on the mid front area. One size fits all. Available in Ivory and Champagne. ..
A Marabou feather scarf style Bolero from Jupon. This bridal piece has closure in the mid front. One size fits all. Available in Ivory. ..
A Marabou Feather Boa style Bolero from Jupon. A lightweight and stylish bridal piece. One size fits all. Available in Ivory. ..
A Ostrich Feather Boa style Bolero from Jupon. A soft and stylish bridal piece. One size fits all. Available in Ivory. ..
A Marabou and Ostrich feather style Bolero from Jupon. A very soft and stylish piece of bridal wear. One size fits all. Available in Ivory. ..
A soft and stunning Bolero from Jupon with a feather style clasp in the centre. One size fits all. Available in Ivory, Blush, and Champagne. ..
Jupon brings you this beautiful Bolero. 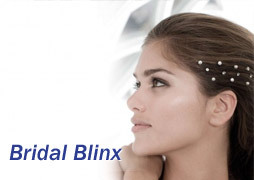 A soft and comfortable bridal piece that looks very stylish. One size fits all. Available in Ivory. ..
A long and thin bridal Stole from Jupon. This Stole is to be draped over the brides shoulders and hangs beautifully. Available in Ivory. ..
A long and thin bridal Stole from Jupon with a knitted finish. This Stole is to be draped over the brides shoulders and hangs beautifully. Available in Ivory. ..
A loose knitted bridal Stole from Jupon. This Stole is to be worn over the brides shoulders and hangs perfectly. Available in Ivory. ..
A stunning bridal Stole from Jupon with Ivory pearls hanging from the base. Available in Ivory. ..
Jupon brings you this Maraboi feather stole, with a clip fastener on both the front and the middle, giving the bride extra comfort. Width : 32cm. One size fits all. Available in Ivory and Black. ..